Post and Go Flag Stamps MA13 appear at a post office! We have a running survey on the availability (or not) of Robins Faststamp availability from Post and Go machines in PO branches. 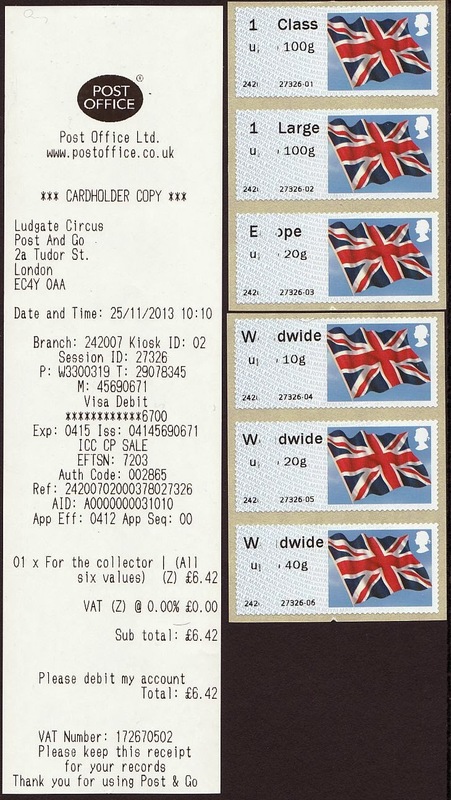 Now Brian reports that the MA13 Union Flag stamps are available in the unique Self-service branch at Tudor Street, Ludgate Circus, London EC1. 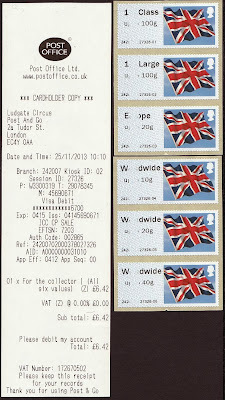 So - unlikely as it may be - we're open to reports of Union Flag MA13 stamps appearing anywhere else. Given that Birds 4, Farm Animals, and Freshwater Life are available across the country and Robins are fighting for space, I doubt that our intrepid reporters will find many! Incidentally if anybody in the London area would like to supply me with some MA13 Flags, please email so that we can put arrangements in place. Thanks. 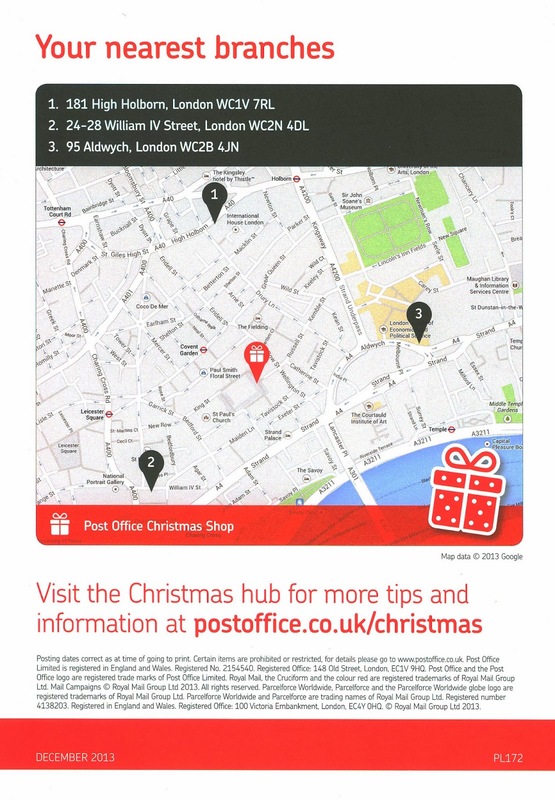 19 November: I have been advised this morning that the 2nd class Faststamps on the mobile Pop-up Post Office which starts operations in Newcastle tomorrow are MA12, not MA13. Also, there are no 2nd class personalised Smilers as the Post and Go machines do not have that option. UPDATED: As mentioned in the 'comments' some MA13 2nd class faststamps were available at Newcastle on the afternoon of Day 1 - 3000 labels only. Full story here. Further comments, on the original thread please. 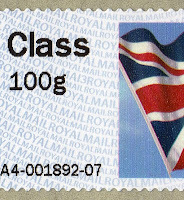 According to the Daily Mail, Royal Mail will issue stamp(s) in 2015 to mark the bicentenary of the birth of author Anthony Trollope. Besides being an author, Trollope introduced the roadside Pillar Box to Great Britain. 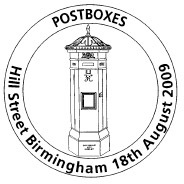 I doubt that many readers of this column follow closely the philatelic happenings across the pond in the USA, so I hope this will be entertaining and enlightening. 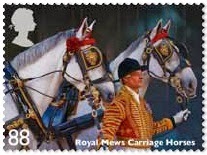 Many people think that Royal Mail issues too many stamps with face values too high. Another view is that the stamps that are issued are only for collectors with very few being used on letters and parcels, but I showed back in January that the 1st class stamps are widely used - and we've some evidence that the higher values are used, though we don't have as many examples. 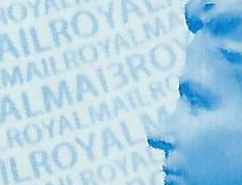 But at least Royal Mail tell us what they are doing well in advance. 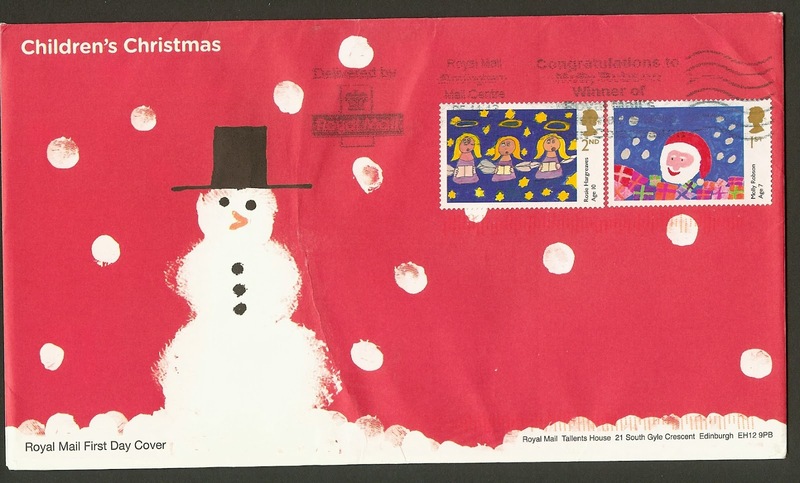 The programme for 2014 was announced at Stampex, with dealers being provided with details of the stamp designs for the first six months so that they could prepare their first day covers, special handstamps, and in some cases arrange for notable people to sign their covers. This advance information also allows us to plan for next year - one of the reasons we stopped making our own FDCs and supplying stamps for every issue was that there were no spaces in the schedule for taking holidays!! 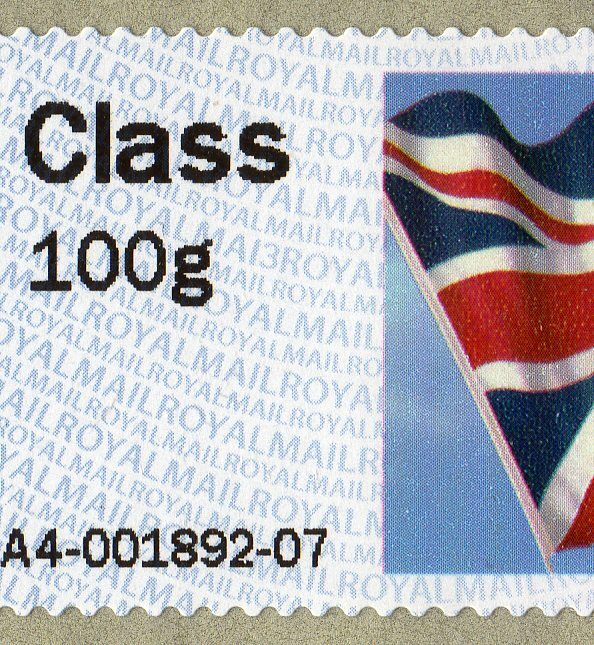 Royal Mail's dealer customers can also order stamps (etc) to be delivered in advance of the date of issue which enables FDCs to be prepared and available for sending to standing order customers on or shortly after the day of issue. This is especially important because Royal Mail don't - in most cases - accept items for postmarking after the date of issue. In the United States of America it's different. 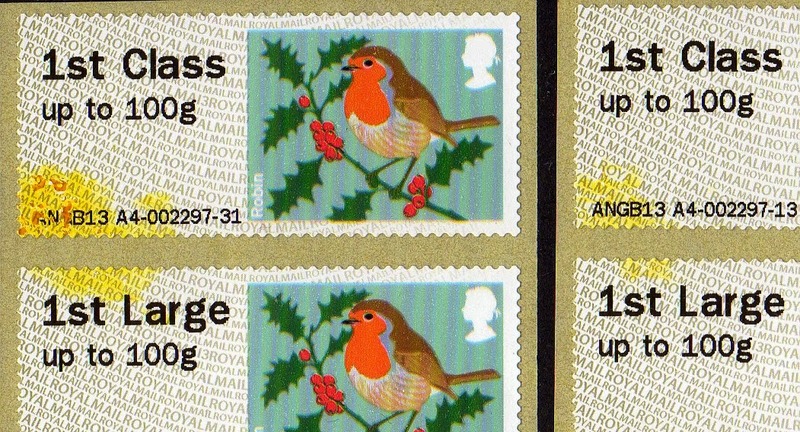 Stamps can be ordered in advance but dealers and cover producers don't get any advance supplies, which adds to the challenge of getting first day covers on the day at relevant post offices - the equivalent of our CDS postmarked covers. 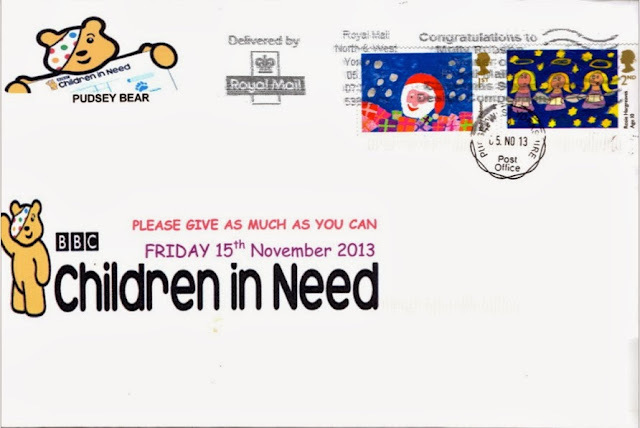 On the other hand collectors generally have 60 days to get their covers postmarked - and dealers 4 months. * Which means if they produce, say, 25 covers and they all sell they can then prepare another batch and sell more! And some people think UK FDCs are 'artificial'. At least we can do a limited edition and know what the total quantity is. 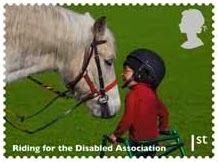 And although some collectors in the UK say they can't find new stamps at their post offices, we are assured that supplies are sent to all branches. In the USA stock is deliberately not distributed to all offices - many branches must order, and that even applies to definitives. Also if you want stamps for your collection you may have to buy a sheet of 20 because many - even with a single design - are only sold in complete sheets because the die-cut perforations interlock - there is no gap between them. Or they are sold in machine-vended booklets. No wonder there is so much discount postage in the USA with collectors selling their surplus - there are only so many letters/cards to post after all! 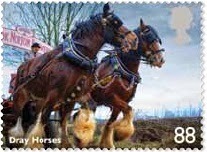 The Americans are also unlucky in the way that news about - and designs of - new stamps are announced. The USPS has embraced social media in recent years, but without any real co-ordination or pattern. They have a Facebook page, and had a blog 'Beyond the Perf', which they have now stopped using with all record having disappeared, and can only be seen on the 'wayback archive'. At one time they had a plan to release news every 90 days. They didn't keep to it. Linn's Stamp News editor Michael Baadke wrote in the March 4th issue: "We've been struggling here at Linn's to unearth some of the basic facts about what's going on with the 2013 U.S. stamp program. 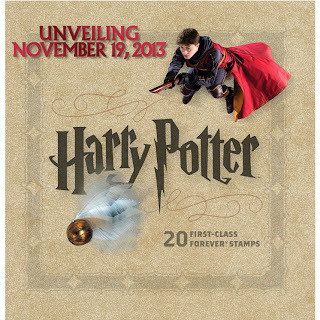 We don't know why basic details about our nation's stamp program are being revealed later and later." 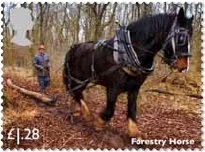 Partly it was due to downsizing - staffing at the USPS office that did the stamp announcements was cut from six to one. 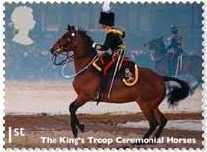 The stamps will be released in "multiple waves". The first "wave" being in time for the First Day of Issue will ONLY be available through Stamp Fulfillment Services (the USPS Philatelic Bureau) which will release a "special automatic distribution to a select group of approx. 3100 "premier" post offices for the first day of issue." 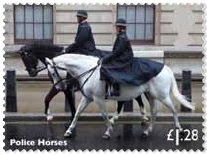 The other "wave" will be sometime in December 2013 and no post offices can place orders for the stamp issue until January 2014. 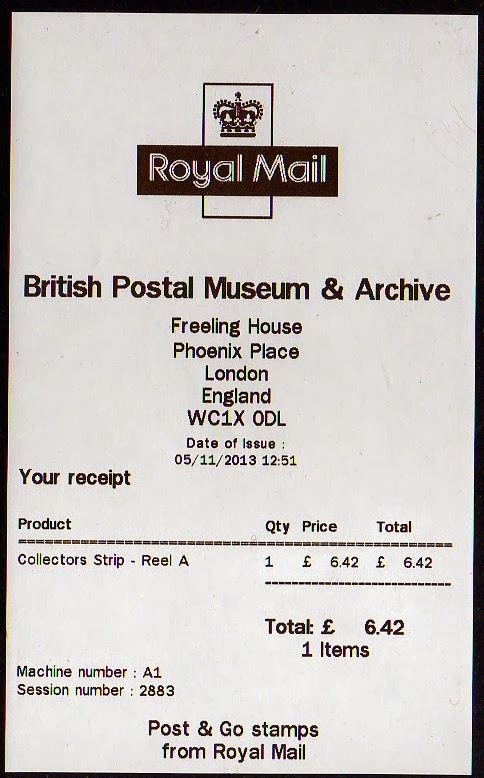 As you can imagine this brought a lot of negative comment from collectors and cover producers! The November 19 date seems to have been forced by Universal Studios' agreement with the USPS, with the latter doing the big publicity push after Christmas in the 'dead' winter period. 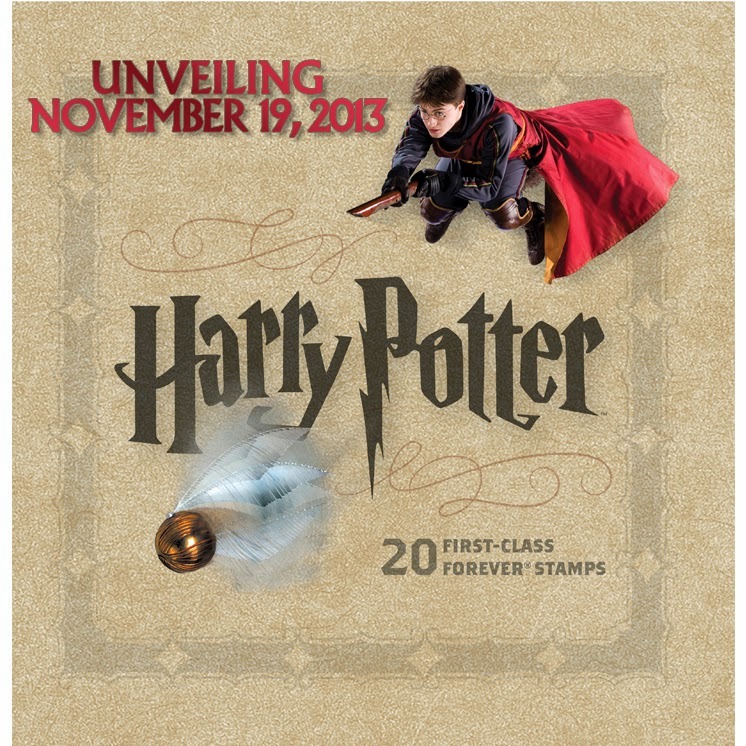 USPS has only today - 13 November - provided more details and this image which is possibly of the cover of the book. 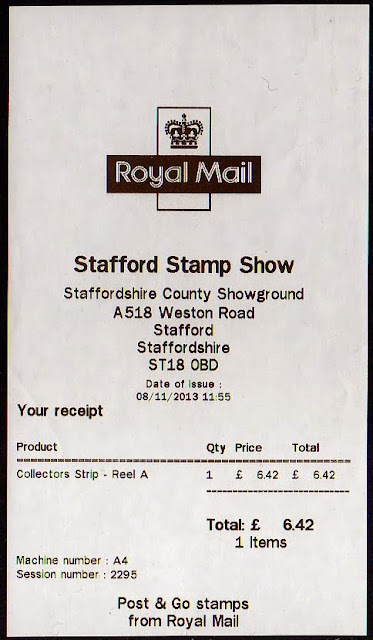 So although I have often been critical of Royal Mail, it's stamp distribution system, the limited information sometimes provided, and it's total lack of real philatelic service, I am very much aware that things could be much worse, and collectors and dealers in GB stamps have much to be thankful for! * Additional comment: there have been occasions when the covers sent for postmarking in the US may not be returned for 6 months which makes trading and selling very difficult. 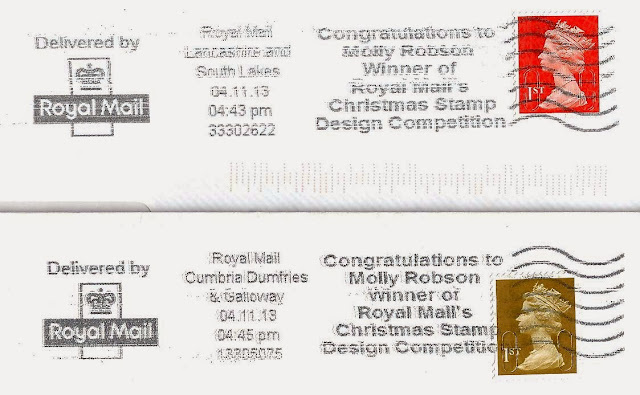 Royal Mail's Special Handstamp Centres achieve a very quick turn-round even when they have multiple postmarks to deal with for one stamp issue. And the quality of the UK product is far superior to that produced in the USA.